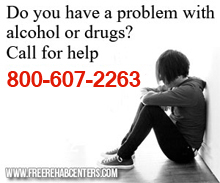 Columbus, OH Free Treatment Centers, Affordable Rehab Centers. Southeast, Inc. is a comprehensive provider of mental health, chemical dependency, healthcare, and homeless services assisting diverse populations regardless of their economic status. The House of Hope offers services that are designed to meet the individual needs of men and women to recover from alcohol and drug dependency or abuse. The House of Hope provides alcohol and other drug treatment services to those who are most in need, so that they may maximize their potential, become productive members of society, and enjoy those gifts of life that are available in sobriety.